A+ Images offers many apparel decorating services. Custom embroidered apparel is one of them. Do you want to start your own clothing line? Do you need corporate apparel for marketing purposes at the next trade show you attend? Are you looking for professional-looking apparel for your coaching staff? Do you want to give your employees a more professional appearance over screen printing? Did you answer “yes” to any of those questions? If so, custom embroidery could be right for you. 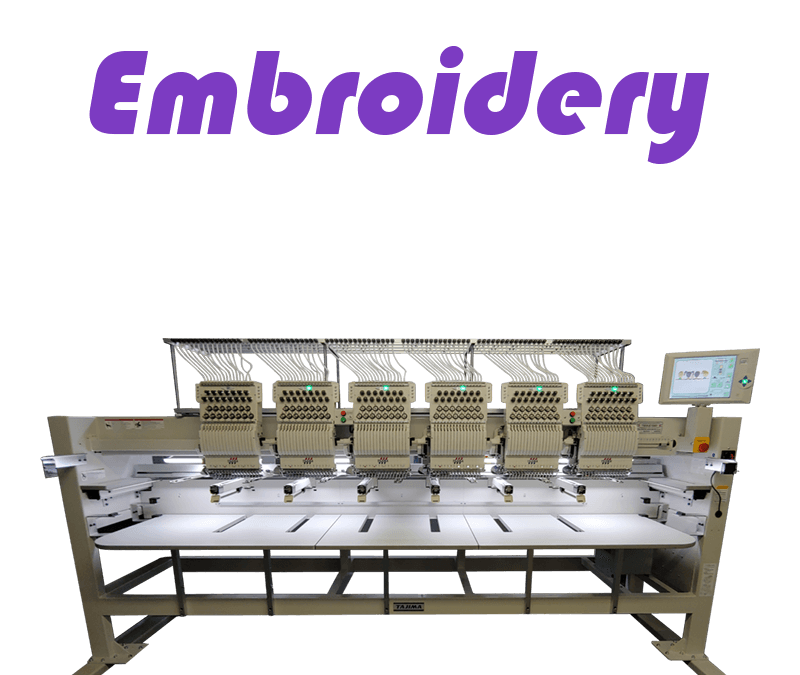 The good thing about custom embroidered apparel is that most garments can be embroidered. For instance, we can custom embroider polos, t-shirts, and jackets. Sweatshirts, hoodies, and beanies are commonly embroidered. Additionally, many accessories such as towels, blankets, and backpacks can also be embroidered. 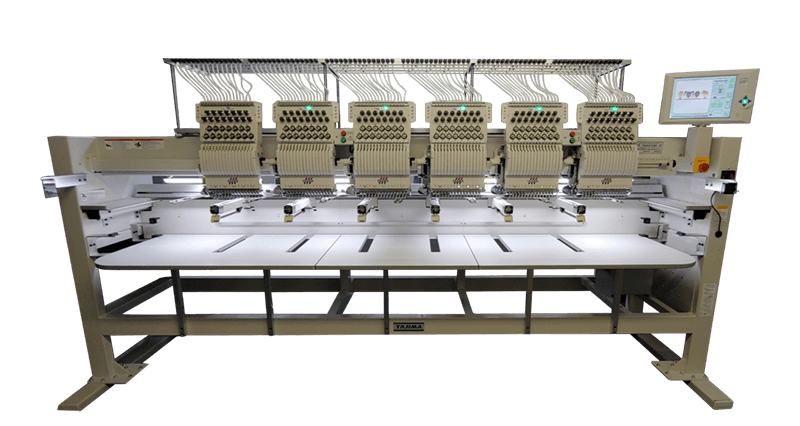 In other words, we don’t have to worry about compatibility issues between threads and garment materials. This isn’t the case with ink and fabric. Certain inks do not bond with certain fabrics. There are two main factors on determining whether we can embroider something with your logo. First, does the product fit in an embroidery hoop? Second, do the access materials fit within the constraints of the embroidery machine? Most apparel can be embroidered. Items meant to be worn tend to be thin and flexible. They easy fit into an embroidery hoop. They also fit easily into the machine. Likewise, we have embroidered t-shirts, sweatshirts, hoodies, polos, jackets, and other similar garments. Bulky Carhartt jackets can be embroidered. This is possible thanks to our strong magnetic hooping systems. Bandannas, beanies, baseball caps, and backpacks are all examples of items we have embroidered. More examples include hockey equipment bags, seat covers, blankets, and towels. We’ve covered what we can embroider. Now it’s time to talk about items that we cannot embroider. For instance, baseball gloves are too thick for our hoops. Additionally, golf bags are too bulky to fit inside our embroidery equipment. We frequently get asked if we can embroider the bill of a hat. Unfortunately, we cannot. Embroidered hat bills are decorated before a hat is assembled. We only embroider assembled hats. This type of production generally occurs overseas and is done in large quantities. Therefore, you see this type of decoration in markets that can easily support those types of advance bulk orders. For instance, collegiate and professional sports teams and major clothing companies typically order in bulk. Finally, car headrests are also off-limits. They are too bulky to fit in a hoop. Do you want to decorate a garment or accessory with custom embroidery? If so, knowing the things we just mentioned will help determine if your idea is possible. If you want to supply your own garment, chances are it will work. Accessories, especially bags and backpacks, are the tricky part. Many store-bought, brand-name bags and backpacks do not have space to add embroidery. We often notice the only good spot for decoration is taken by the manufacturer of the product. Brands such as Nike and Under Armour want to display their logo. They don’t want another logo to distract from their brand. Therefore, they normally don’t leave space to add another logo. We offer a variety of blank accessories. These are designed to be decorated with custom embroidery. Most store-bought products are sold as finished products. You can view options from our top two suppliers on our website. Select one from the “online catalogs” menu at the top of your screen. If you want to purchase your own items, that’s fine. We request you bring them in to check if they will work prior to production. Just remember not to remove the tags. Save your receipt for an easy return in case it won’t work. In conclusion, we discussed what we are and are not able to embroider. For more information on fonts and thread colors, check out our custom embroidery service page. We’ll cover digitizing in another post. If you have more questions, call or stop by our office! We look forward to working with you on your next custom embroidered apparel project. Please read this guide before submitting your order. The guide will make the ordering process easier. Thanks for reading our blog!